Strong and Son were established approximately 40 years ago, since when the business has grown from a staff of four to over 25 employees today. During this period we have undertaken and successfully completed a number of large contracts for a wide range of clients. The company has demonstrated that it has the technical ability to complete these contracts to a high standard and to the customer’s requirements and deadlines. SEL has infrastructure that focuses on the premise of quality workmanship, respect and service for the customer and a ‘stand behind our work ethic. We are a dynamic team who apply experience, education, professionalism and a strong sense of pride in our work to tackle any application, large or small. SEL is an award winning company we supply quality services and installations. Our team combines well and the strengths of each person have come to the forefront gaining us a reputation of trust and one of being able to get the job done. We are a dynamic team who apply experience, education, professionalism, and a strong sense of pride in our work to tackle any application, large or small. As professionals, we sell quality services and installations... not brand names. In this day in age, it pays to hire a company with experience in all areas of HVAC, including design, service and installation. When you call you will speak directly to a person; you get our personal attention, not an answering service like with other companies. Our team combine well and the strengths of each person have come to the forefront gaining us a reputation of "Trust" and one of being able to "Get the job done". We're a company that can be relied on to be a provider of solutions- offering full heating, ventilation, air-conditioning and mechanical services to residential, commercial and industrial sectors of the market. SEL has always trained apprentices in both electrical and mechanical and are committed to continue training first class tradesmen. SEL is located in modern facilities in Churton Street and are fully resourced to complete any size electrical project. 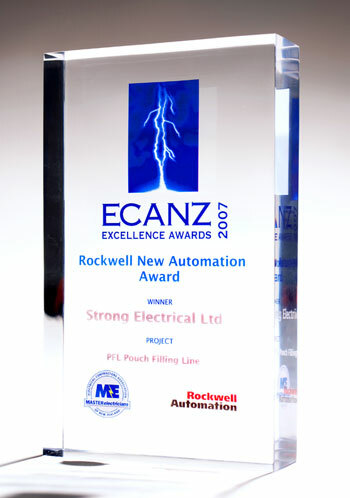 We have been members of the Electrical Contractors Association (ECANZ) since 1989, this provides you with the peace of mind of the $20,000 workmanship guarantee that comes with being a member in this Association. To be an innovative provider of electrical and mechanical services and ensure that we maintain the integrity of our business and our people at all times. We will continually strive to improve our service to exceed your expectations because we take pride in our work.